Gananoque River Crossing - Robert B. Somerville Co. Limited. Somerville was contracted by NPL Canada to drill across the Gananoque River in the town of Gananoque, Ontario for a Union Gas project. 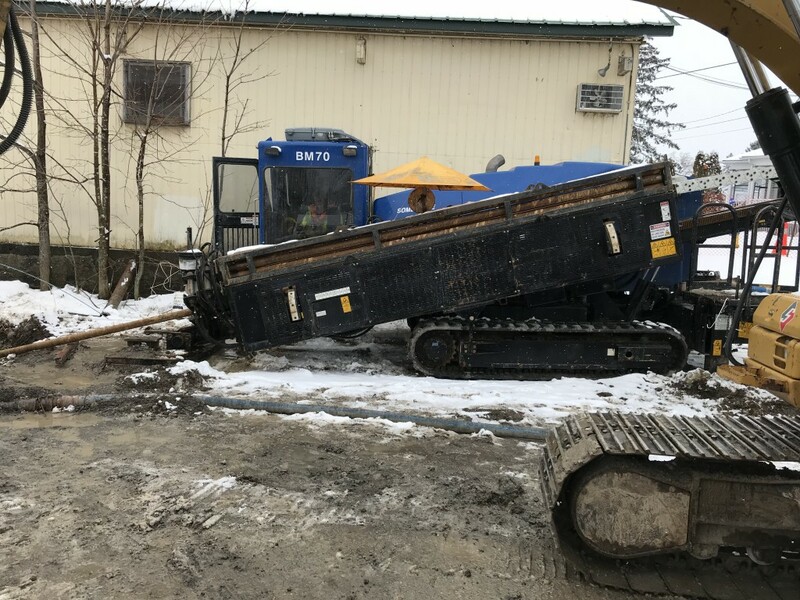 The setup for the drill was very tight with limited room while still allowing residential access to a dog park and walking trail within the work area. The bore was 172m through Granite Gneiss rock with up to 235 mpa hardness. Wireline guidance was used as well as a mud motor with an HDX rock bit made for the very hard rock encountered. The bore was a success with the NPS4 pipe being pulled back after 4 1/2 days of piloting.